This week kicked off Fort Mojave's ROCK-It Club, boasting an enrollment of 70+ students, with more on the list to start next week. "We are extremely pleased with the initial turnout" commented Ms. Proa, program coordinator. "Turn out at our parent open-house was great, and enrollment followed suit." With a goal of 117 students participating, "We're well on our way" continued Proa. The ROCK-It Club is Fort Mojave's after school program. 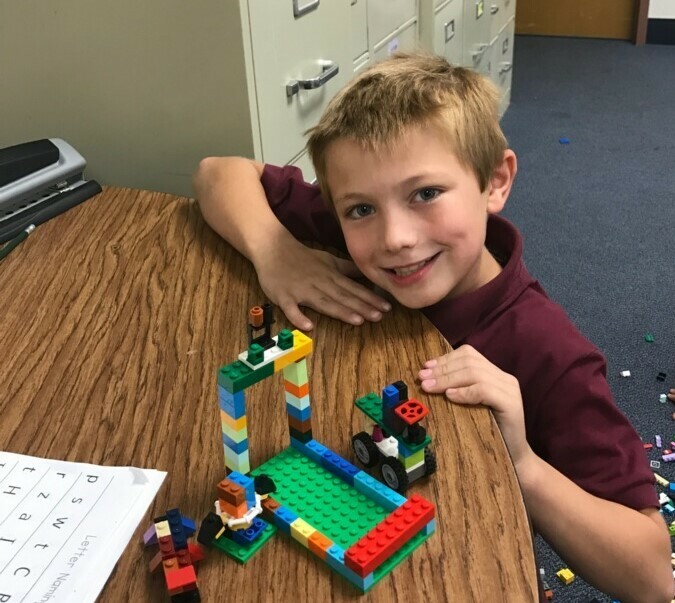 Funded through a 21st Century grant through the Arizona Department of Education, the program provides academic assistance for struggling students, as well as enrichment class opportunities to keep the program fun. Fort Mojave's program is the district's second: Camp Mohave's club began last year, and its success led to applying for the program at Fort Mojave this year. "While we were disappointed that both Fort Mojave's and the Jr. High's applications weren't approved this year, we are excited for Fort Mojave students, and hope to apply for a junior high program next year" said Superintendent Whitney Crow. Program requirements include offering the program 10 hours per week. Fort Mojave has chosen to run their program Monday- Thursday, although they anticipate adding in an occasional Friday to meet the required number of days the program must run. The program also requires a summer school program, and parent education opportunities. The daily routine starts with a snack and homework time. From there students move on to work on an online computerized learning program for a short period, followed by two sessions of classes, typically one academic and one enrichment offering. Parents are encouraged to be patient these first few weeks of the program as the details are smoothed and worked out, both for clubbers as well as parents who participate in parent pick-up at 3pm. "Due to the high number of students in the club, we're going to have to look at changing up the after school parent pick up routine" noted Mr. Turco, Principal. "Please be patient as we ensure the safety of both our parent pick-ups and ROCK-It clubbers." Parents interested in enrolling their students can download paperwork HERE. Addition information on bus routes for both elementary school programs can be found HERE.